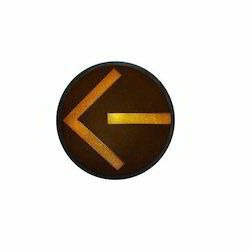 We offer an exclusive range of LED Traffic Signal Arrows that are used in large number on roads for safety and indicating the proper directions. These Traffic Signal arrow manufactured by us an be easily installed and offer a clear visibility factor. 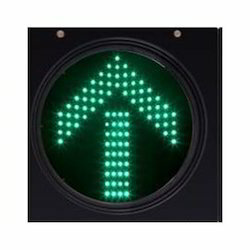 Using high quality in adherence to strict quality inspection procedure, we provide our range of LED Traffic Signal Arrows at the industry leading prices and these are some of the features that have inspired its wide demands. We are committed to present an exclusive range of LED Red Arrow Straight that is extensively demanded their authentic functionality that has been available in Dia Size 300mm 200mm. 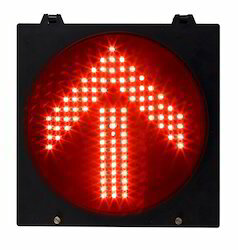 Besides, our LED Red Arrow - Straight featured by a red traffic signal arrow, low maintenance charge, optimum visibility, commonly used symbols, less power consumption, high-intensity light to name a few. Further, our range is inspected with utmost care before its final delivery.